We bring forth finely processed Red Chilli Powder. 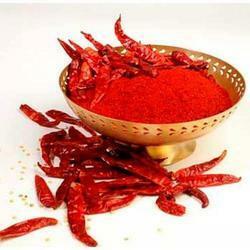 We offer Red Chilli Powder that is made using fresh red chillies. Our Red Chilli Powder is highly appreciated for adding taste, color and flavor to various cuisines, thus making them more tempting. We supply Red Chilli Powder in hygienic packaging options to ensure the supply of safe and quality powder.